When school's out, we can spend a lot more time with our pets; days out, extra walks, and all day attention become their summer norm. As the kids go back to school, it is important to ensure that pets still feel just as loved even though the children aren't around all day making the house seem full. Pets are sensitive to changes in routine so read on for some top tips on how you and your pet can beat the post summer holiday blues. Noticing changes in your pet’s behaviour cannot be ignored or put down to just ‘holiday blues’; changes in behaviour could instead point to physiological problems they need help with. Your pet’s loss of spark, tiredness and heat seeking behaviour may not only be due to the cooler autumn conditions. Keeping an eye on any changes in your pet’s behaviour is a must all year round, for example changes in their eating and drinking habits, sleeping habits and weight. When lifestyle changes occur and your pet’s normal routine changes, keeping a closer eye than usual is key. If you are a dog-owner, there are many common signs that can reveal to you that your four-legged friend is feeling down. Take note if your dog has started to sleep more or has started “moping” around the house; check whether they have lost interest in food or water and are losing weight; or are they perhaps trying to seek solace in food, perhaps thieving, and gaining weight? Other signs include a loss of interest in playing and walking, hiding away from their owners, and excessive paw licking. Dogs are especially prone to experiencing separation anxiety when their lifestyle is changed such as after a summer of fun and constant companionship. They are likely to feel confused and anxious by the fact that their owner is no longer around at all hours. Cats, however, may be a lot more vocal than dogs when it comes to making their owners aware of this. Look out for changes in vocal clues or in body language. Unhappy cats may start to communicate in ‘low-pitched mournful yowls’ and some communicate using eye, ear, fur, and body positions as well as an increased tendency to act aggressively, protecting themselves by wrapping their tail around themselves. These changes in behaviour can also be indicative of other health problems, so it is always best to consult a vet as soon as you notice these types of behaviours or indeed any changes. Whether you have a dog or cat, our advice from the RSPCA can help you understand your pet’s body language better. When it comes to rabbits, a happy bunny is usually an active bunny. Happy bunnies will do things like ‘dance, lick, hop, chin and run around’, widely known as rabbit ‘binkying’. Unhappy bunnies have rapid changes in behaviour, often behaving frantically, thumping, grunting, squealing, and appearing unresponsive or lethargic. Rabbits are also very affected by changes in weather and temperature, and bunny owners can read more about how to keep your bunny happy this autumn and all year round with some top tips from CEO of Rabbit Welfare Association and Fund (RWAF) Rae Todd here. Gerbils and other small animals also show how they are feeling to their owners via their body language. Signs to keep an eye on include if your gerbil or small pet can never relax, and is looking consistently frantic. They may also stand up on their hind legs holding their front paws together, on the lookout for danger when they’re feeling stressed. Pet Helpful provides some tip tips on how to beat the blues in gerbils. Family routines are different. It may mean that ‘back to school’ means your pet has more chill out time at home. Alternatively it may mean that there’s actually more time during the day to spend with your pet. Nothing will compare to you setting some extra time aside, if necessary in the evenings and weekends, to spend some quality time with your pets to help them adjust to a new, perhaps more independent routine. Companionship is vital to pets like dogs particularly, and it’s extremely important to make sure that your pet’s needs are carefully considered when it comes to the level of companionship they require. Every dog is different, and some will happily snuggle down for a few hours, while others may be anxious or bored as soon as you leave. Your vet or local pet care specialist will be able to advise on how you can manage should you need to be away from home longer than the dog is comfortable with or you can find help through the National Association of Pet Sitters and Dog Walkers.. Again, you vet can provide behavioural advice and if necessary even recommend a specialist to help alleviate any separation anxiety. As well as companionship, plenty of exercise can help provide physical and mental stimulation for your pets all year round. Creating obstacle courses for your pet to play is a great start. PetCentric have some great tips on how to make your own cat agility course to provide exercise and mental stimulation throughout the day and for more ‘back to school’ cat tips don’t miss our interview with International Cat Care’s Dr. Sarah Ellis. Dog agility courses are also a great way to keep your pup entertained when you are out using hurdles, tunnels and poles. We teamed up with the Kennel Club to explore some of the more innovative types of exercise and activities you can do with your dog, from agility training to music, which you can read here. It’s not just dogs and cats that benefit from exercise at this time of year and all year round – smaller pets like rabbits can reap the benefits too. Read more from Rabbit Welfare’s Rae Todd on keeping rabbits active this autumn! 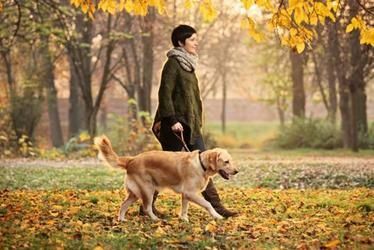 By giving your pets that extra bit attention in your free time, as well as researching new ways to keep your pet healthy and active throughout the day, you can ensure that they adapt to their new season’s routine, and stay happy and healthy throughout autumn and beyond.